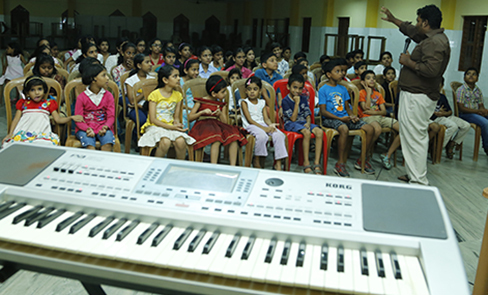 MUSIC MINISTRY " MAGNIFICAT "
The Music Ministry derived its name Magnificat from the Biblical word Magnificat which means "my soul praises the Lord". 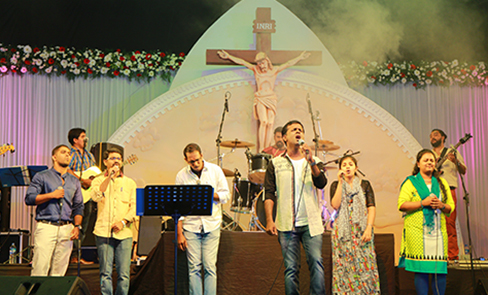 The Music Ministry part of all the retreats & prayer groups & focusses on glorifying God through Music & Audio Visual . The ministry with its gifted and unique style of music complements the spoken word, in winning souls for Christ. Our Work /labour are an avenue of faith in God. The Business Group brings together people who run business. 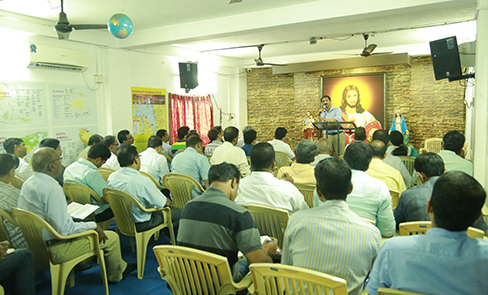 the Members focus on glorifying God through their work. Standing for the kingdom of God Challenging the irregularities and living the word of God in their work. The Business Group conduct its Prayer meeting on every First saturday from 7:00 to 9:00. 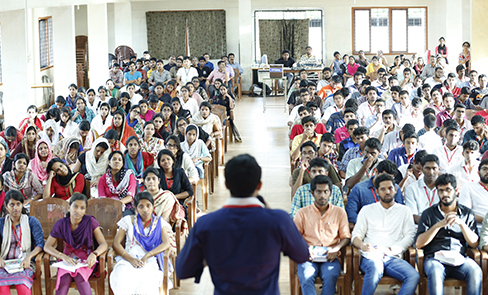 To connect on a deeper level with God & to experience the Victory Jesus gained for us, and to introduce Christ Jesus to today’s generation of Christians for whom life is a daily struggle, the ministry organizes retreats in Schools, Professional colleges, Nursing Schools and other institutions. The retreats are led by Mr. Elvis Kottooran. 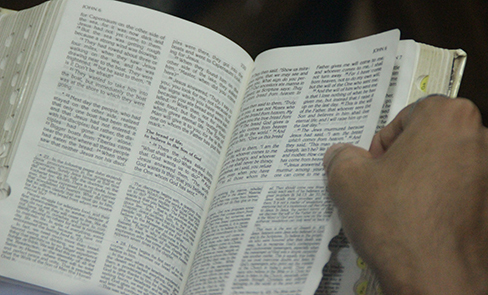 The Ministry is blessed with gifted counselors for providing spiritual counseling and guidance for its fellow members. The Sharing service is offered once in every two months. The spirit-filled counselors reach out to the members and touch their lives and provide biblical guidance for all problems ranging from personal, marital and community problems. Children are so special to Jesus. Jesus himself said, “Let the little children come to me, and do not hinder them, for the kingdom of God belongs to such as these. "(Mark 10:14.) Divine Mercy Ministry with its strong conviction that future of the church depends on effective ministering to today’s children has a Kids Ministry. 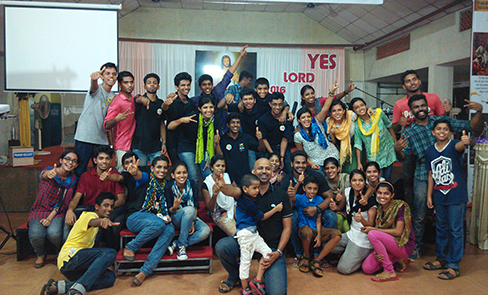 The Youth ministry focuses on guiding the youth to Christ, helping them build a faith oriented life. Learning about the challenges waiting for them in their adulthood, growing with Christ each day.Seeking guidance/help from senior member who have walked through the similar challenges of life. Fostering personal and spiritual growth of each person. Have no anxiety about anything, but in everything by prayer and supplication with thanksgiving let your requests be made known to God. And the peace of God, which passes all understanding, will keep your hearts and your minds in Christ Jesus (Phillippians 4:6). Prayer is power that brings miraculous change. 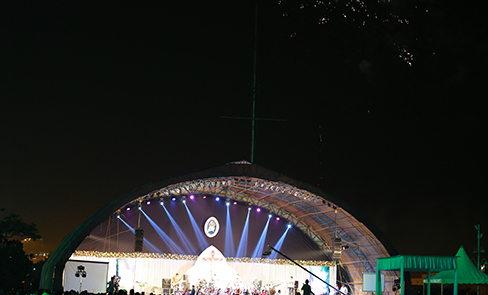 Divine Mercy Ministry which started as a small prayer. 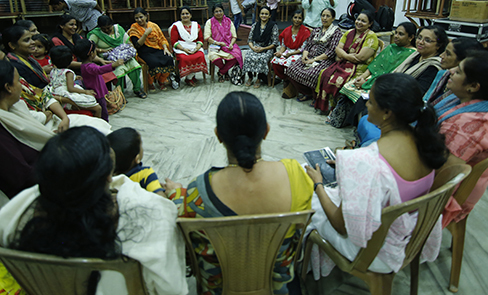 The ministry focuses to preach to women from all walks of life regardless of their education and background. It aims to empower women to become mighty warriors for the Kingdom of God. The ministry provides a platform for ladies, house wives, young mothers and aged women to come together to pray, worship and share the Goodnews. 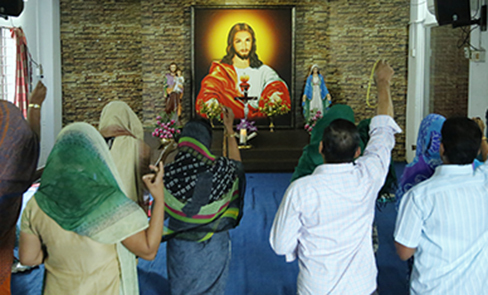 The ministry focuses to preach the word of God throug the various media .The ablity of the media to reach many people in fast helps it to connect with people across the globe. The media ministry prepares the differnt audio and video contents which helps it in its mission. It aims to evanglise people across the globe and bring them a step closer to the Kingdom of God.